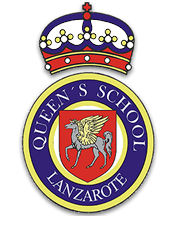 Queen’s School is a British school in Lanzarote. The school is currently responsible for the education of around 90 children, from 3 to 11 years-old. We cater for children of both the local community and the expatriate community. Due to our one-form-entry system, the number of students in each class rarely exceeds 20. The school is situated close to the beach in a residential area, a short walk from the centre of Playa Blanca. Thanks to its location and climate, Lanzarote is one of the most beautiful islands in the Canaries, being both culturally and economically active all year round. Due to the expansion of the school into KS3 we are have more than one vacancy available to join our KS2 and 3 Departments from September 2019. In particular we are looking for an experienced Secondary Science teacher, Maths teacher and English teacher as well as a Primary teacher with a passion for music or sport. The successful candidates will be expected to teach across Key Stages 2 and 3, display and promote excellence in teaching and learning and have the ability to inspire pupils. They must be hard working and work well as part of a team. The school welcomes applications from newly qualified teachers. The ability to speak Spanish is not essential.